Struggling to keep kids interested in math? Finding it hard to teach new math concepts? We are here to solve that problem. We make animated math videos to teach the basic math concepts in elementary school. We make learning math FUN! All Videos on this website are FREE and play through our youtube channel. We are going to be releasing a math adventure game called Mage Math in the upcoming months. Please check it out at MageMath.com or follow the link to the right. Math Videos that really work!! Welcome to our site!! We make educational math videos and quizzes that teach the basic math concepts that children need to know to get a strong foundation in math. 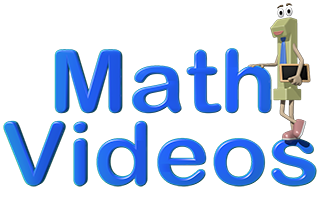 The math videos not only helps students get a strong understanding of the concepts but also helps teachers and parents to assist in the learning effort. These resources are an amazing way to get everyone involved in the students’ education. Many times as a parent or teacher, it can be difficult to know where to start explaining the math concepts. These videos are an excellent way to start the conversation and start learning! Click videos from the menu up top to see what grades we have. We teach the basic math concepts and fun learning videos for toddlers as well. We have Quizzes / Games for 2nd Grade as well and will continue to add more so students can practice with our quizzes. All quizzes follow along with our Amazing Math Videos. Join us on Facebook, Pinterest and Twitter!